Hi loves! How was your weekend? Did you have a long weekend just like us because of Kingsday, or are you from another part of the world? I didn't celebrate at all, actually we stayed in all day, my parents came to visit so that was nice. But nothing orange for me lol! 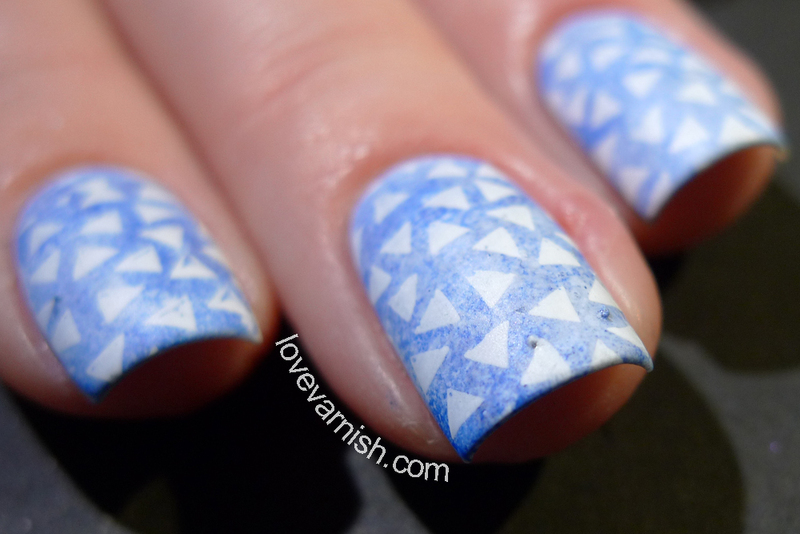 Well, today I want to show you a nailart I did a while back - I was having fun with some supplies and created this airy, sponged blue base. Then I decided to stamp it and I really digged the look! Like I said, I started with a sponged base. I created it by painting on Polish My Life Cloud Blue in 2 easy, thin coats. After it dried I tore off a little piece of a make-up sponge and dabbed on El Corazon 423/271. Then I went back in with some more Cloud Blue to soften it up. The stamp is Born Pretty Store BP-14 - aren't those triangles just adorable?! For the matte finish I used Cirque Colors Matte Look topcoat. It dries nice and flat and didn't smear my art so that's great! I also think it really compliment the final look. 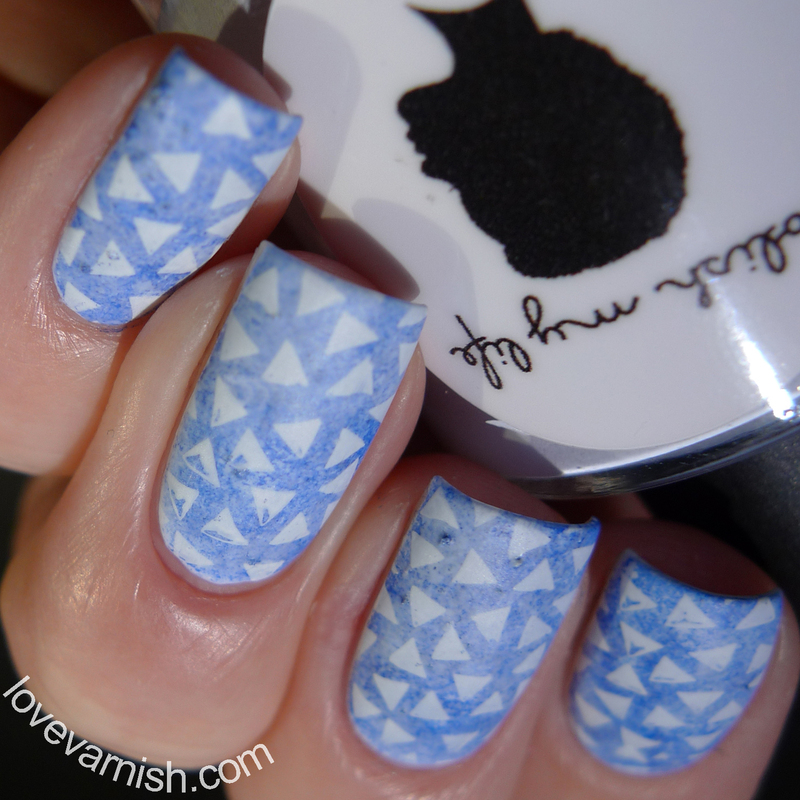 Makes the stamping stand out more! What do you think of this look? Would you have picked a matte or shiny finish? Tell me in the comments! Love this, it's so dreamy! Oh I LOVE these so much!!! They're so gorgeous! I love the colours and the stamp! Definitely matte - these are beautiful!! This is VERY cool! And I love the title for this post! And DEFINITELY matte. Makes it look almost plush. I love sponge bases. The textures looks it gives is my fave. I also love that you mattes it out. Matte is my favorite finish. Great job! So pretty and the sponged base is nicely done! Wow, such pretty color combo. I loved how you created base effected and then added triangles design. Gorgeous! 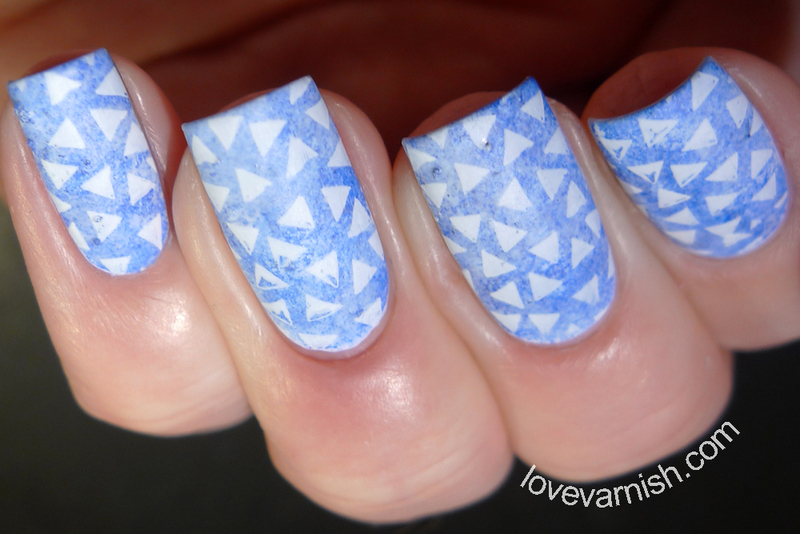 I love the stamping and the effect you created with the sponging. I like the matte finish! It has such a special effect! I love the sponged base! I really love these, so calming! Thank you! Dreamy is a great description ^^. Haha yeah, too much orange is never a good thing huh ;-)? Thanks so much, I'm glad you like it so much :). Thanks so much Mina! They were so easy to create, I love when that happens. That pair of jeans you've been wearing since forever and that always fits well! Right?! I love that too about sponging. Thanks girl! 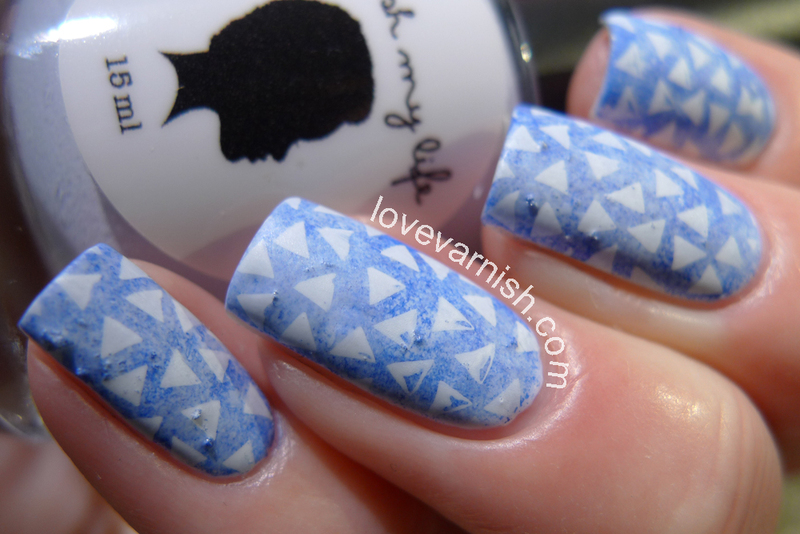 Triangles are the new squares! Wait, whut? It made the whole look so much more interesting, and it didn't even cost any effort to create! Thanks Simona! Sometimes matte is all you need :).